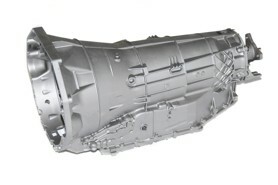 You'll find the largest selection of remanufactured high-quality transmissions to buy at great prices. You deal with a dedicated-account customer service representative who is friendly, familiar with your needs, and knowledgeable about everything transmissions. That's easy to say, but here's what it really means to you: A refined remanufacturing process to provide a higher-quality transmission at a lower cost. You'll get the exact remanufactured unit you need from over 1,000 transmissions kept in stock and ready to ship at a moment’s notice, in a sparkling clean, new container securely mounted to a skid, painted, with clearly marked tags and documentation. Your automatic transmission has been performance-tested on our Axiline dynamometer before it goes out the door, so you can be assured that it will be trouble-free when you install it. When we receive core transmissions, our production managers make a point of analyzing why and how they failed. This can result in recommendations for upgrades to specific models. These quite often go above and beyond dealer specifications, and are only available from Transmission Remanufacturing Company. Also, all known factory design deficiencies or weaknesses are corrected during the remanufacturing process. • Contact TRC now to get a transmission quote. • Read about the company, Transmission Remanufacturing Center, LLC. 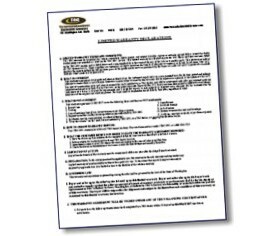 • Dealers Save money and get extra support when you buy transmissions at wholesale. 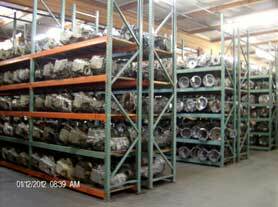 • Learn about all the services you can get from Transmission Remanufacturing Center. Transmissions are remanufactured to exacting standards – many even better than new! Copyright © 2006-, Transmission Remanufacturing Company. All rights reserved. Website maintenance by Mind Map Media, LLC.